Is This The Samsung Galaxy S5 Zoom? 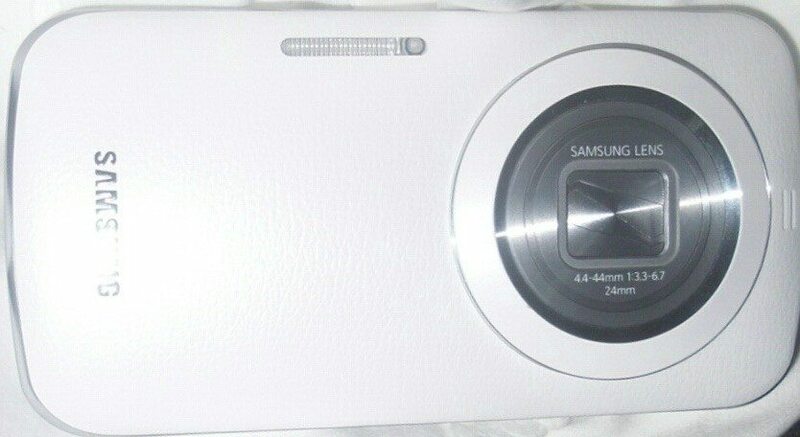 This could be our first look at the upcoming Samsung Galaxy S5 Zoom. As you can see, this device does NOT appear to feature any bumps on the back but appears to be nearly flush. In terms of the camera itself, the camera-smartphone hybrid is expected to showcase a massive 20MP camera with 10x optical zoom, xenon flash and optical image stabilization. Other specs include either a quad-core or octo-core processor, 1.5GB of RAM, and a 4.8″ 720p display. The device should also be running Android 4.4 out of the box as per Google’s new policies. According to SamMobile, the device is due to be announced in May so there will likely be more leaks of the device throughout the month. There’s also no word on which markets will get the phone but we’ll let you know once that information becomes available. Would any of you guys consider this phone if it made its way to our fair land? The post Is This The Samsung Galaxy S5 Zoom? appeared first on Android in Canada Blog.